When will be The Morecambe & Wise Show next episode air date? Is The Morecambe & Wise Show renewed or cancelled? Where to countdown The Morecambe & Wise Show air dates? 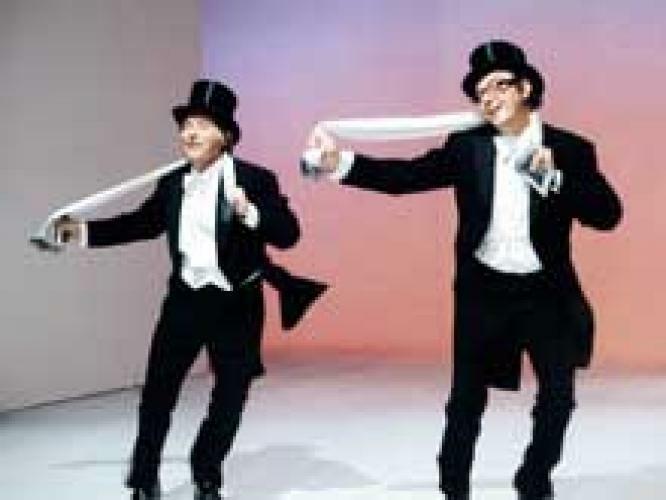 Is The Morecambe & Wise Show worth watching? The Morecambe & Wise Show is a BBC television comedy sketch show and the third TV series by English comedy double-act Morecambe and Wise. It began airing in 1968 on BBC2, specifically because it was then the only channel broadcasting in colour, following the duo's move to the BBC from ATV, where they had made Two of a Kind since 1961.The Morecambe & Wise Show was popular enough to be moved to BBC1, with its Christmas specials garnering prime-time audiences in excess of 20 million, some of the largest in British television history.After their 1977 Christmas show, Morecambe and Wise returned to ITV, keeping the title The Morecambe & Wise Show. The Morecambe & Wise Show next episode air date provides TVMaze for you. EpisoDate.com is your TV show guide to Countdown The Morecambe & Wise Show Episode Air Dates and to stay in touch with The Morecambe & Wise Show next episode Air Date and your others favorite TV Shows. Add the shows you like to a "Watchlist" and let the site take it from there.